I used to consider myself a writer. I have self published a book Amazing Love and have written other things that sit on my computer waiting to be finished. Now I want to pretend that I am a critic and share my thoughts with you. Honestly, I have read a lot of books in my 38 years and one of my favorites, The Kissing Hand gave me all the feels. BUT this book right here y'all! 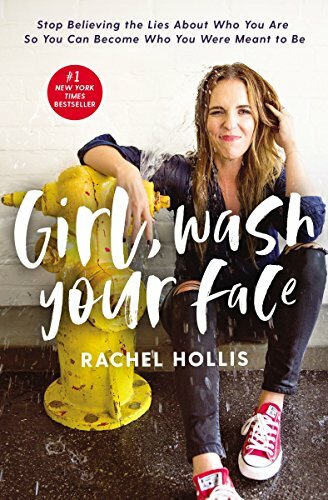 Rachel Hollis is AHHHMAZING! She is a powerhouse. There are a few statements I wanted to share with you that changed my life. 1. Write down your goals-Sometimes they swirl around in your head, but as Rachel writes, "physically writing down the words is a powerful thing to do." Since reading this I have written my goals and they are looking at me each day, so therefore I take steps toward them. 2. Nobody gets to tell you how big your dreams can be-Exactly! We need to stop allowing others to tell us what things should look like. I was grateful I read this especially before my 12 year old daughter told me her very elaborate dreams and goals! I handled it so well! I was so proud of myself. And you know what? Dang proud of her too, You go girl! Aim High! 3. Starting with one small goal- Rachel believes you can do anything for 30 days! She believes that because she gave up diet coke for 30 days wanting to change one simple thing. As she did this she realized she could do other things. Enough of overwhelming ourselves with EVERYTHING we need to change and just go after one small thing at a time! This is perfect advice! 4. Most people don't notice the trees, they're much too busy coveting the mansions that sit below them-Oh Man! This totally hit home. I have lived a life of more- never content! But I will commit to noticing the trees, because well, God made them and I am going to be thankful!